I can’t resist having a look around Poundland when I’m in the town centre as there are often new and interesting items. 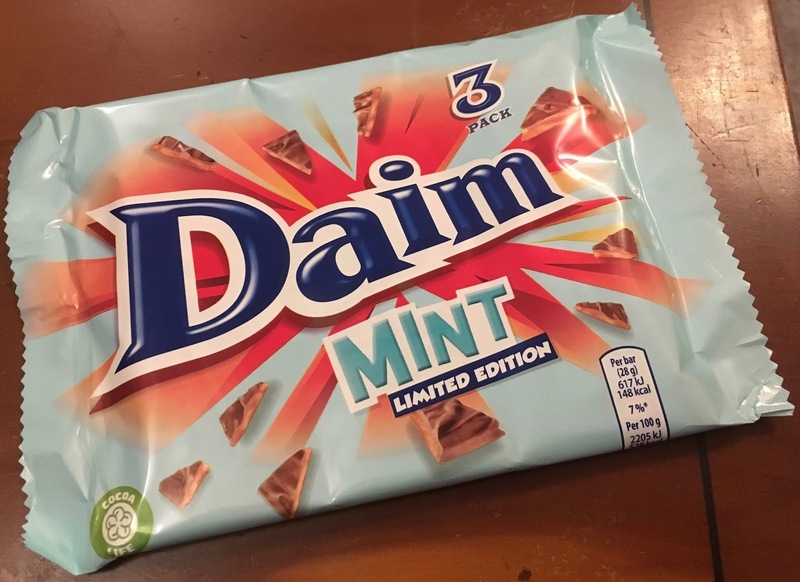 This week I spotted a multi pack of these new Limited Edition Daim Mint bars. As it happens mint is one of my favourite flavours so I was quite keen to try these. 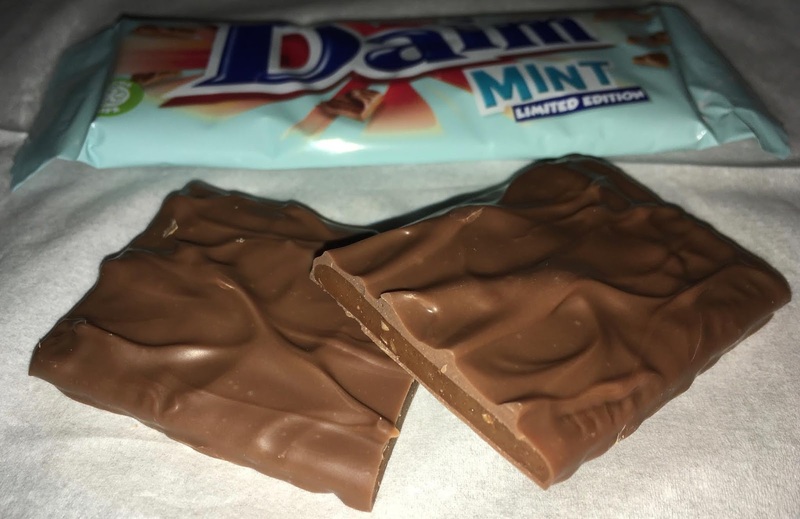 I liked the pale blue of the packet of the Limited Edition Daim Mint bars and realised that there wasn’t any other chocolate bars using that or a similar colour in its packaging. ,Inside the pack where three wrapped Mint Daim bars. Daim bars consist of a a layer of nut cracknel covered in a thick layer of milk chocolate. The minute the wrapper was opened the mint aroma was noticeable, and it blended pleasingly with the chocolate tones. The bar itself is predominantly minty, and the peppermint is at decent strength, it does cover over the nut element a bit, but the chocolate and caramel are still very much present. I love the texture of Daim bars, with the soft chocolate and brittle centre which crunches and snaps. As a mint fan I thought this bar was a success with lashing son cool mint washing over my senses. Think solid After Eight, mmm. I can imagine that some may think it defers from usual the nutty base flavours of the caramel, but I guess that just means more bars for me. Cinabar, your taste buds are wrecked! It isn't After Eight. It's a chocolate covered Murray Mint.